During extractions annoying tooth fragments or loose root tips remain attached to the periodontal ligament. These pieces are very small and slippery, making it difficult to grip them with ordinary tweezers or forceps. RootPicker instruments address these problems with the necessary properties to complete the extraction successfully. Luxator RootPicker is a short and rigid instrument that makes it easy to insert into the alveolus. The cleverly designed tip provides a sure grip on the debris. Their straight and angled tips make them ideal for use in the anterior area as well as in the posterior maxillary and mandibular areas. RootPicker also provides excellent grip for the various components used in surgery such as healing abutments, parallelism indicators, screwdrivers and posts for immediate prosthesis. Their straight and angled tips make them ideal for use in the anterior area as well as in the posterior maxillary and mandibular areas.
" 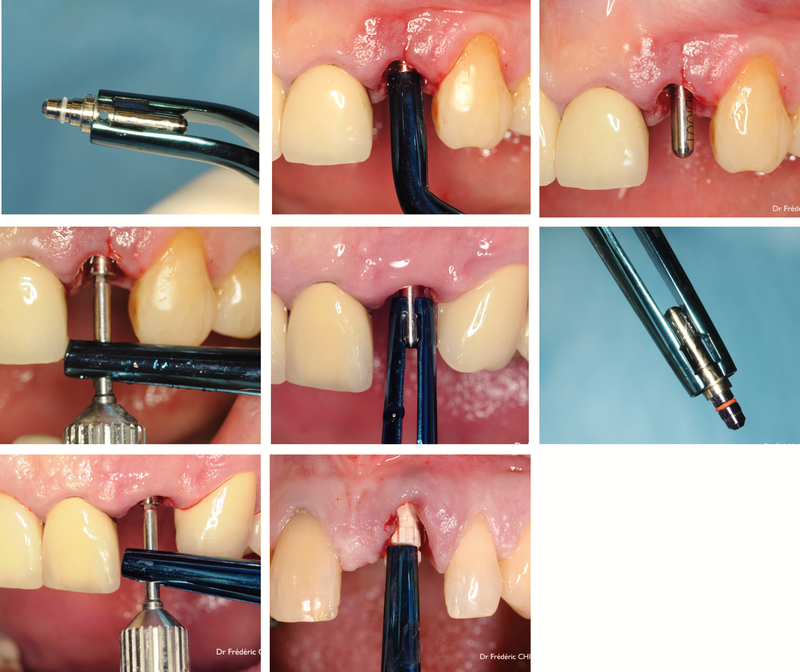 RootPicker are very useful instruments that became indispensable in my daily implantology practice. They provide excellent grip for the various components used in surgery such as healing abutments, parallelism indicators, screwdrivers and all the different posts for immediate prosthesis. Their straight and angled tips make them ideal for use in the anterior area as well as in the posterior maxillary and mandibular areas. Finally their blue color makes them easy to find on the accessory tray."